"A strikingly simple, poly-resin top derived from river sand is polished to a smooth sheen. 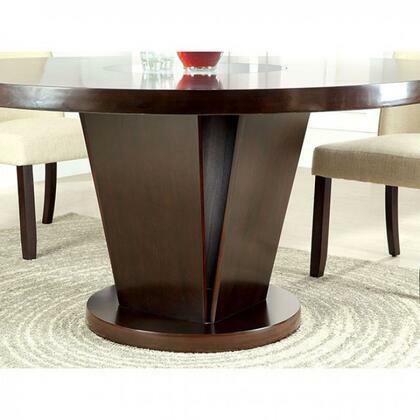 The angled, matte black iron base adds architectural appeal to this round dining table. Great indoors or out — cover or store indoors during inclement weather and when not in use. Dimensions: W: 31.5"" D: 31.5"" H: 30"" Collection: Constantine Category: Dining Room Type: Dining Tables Colors: Black, Light Grey Materials: Iron, Lavastone Weight: 63.93 lb Volume: 6 cu ft Average time to ship BD Studio furniture is 2 to 3 weeks. Expedited delivery may be available and some lead times may vary, based on quantity and production schedules. Please contact us with any questions. "